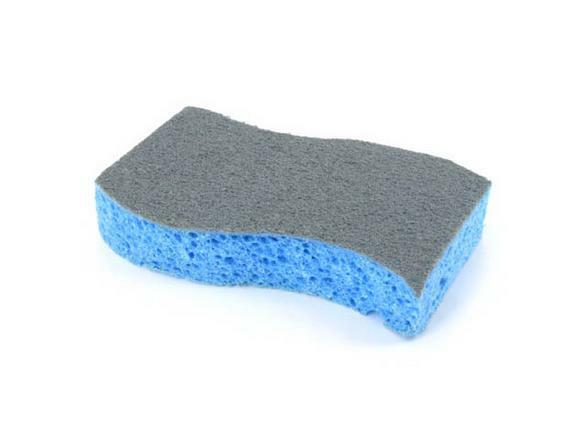 SPONTEX sponge for the powerful cleaning of stainless steel surfaces with a strong polishing side and a sponge side made of highly absorbent viscose. The polishing side is not suitable for sanded sink surfaces (e.g. SteelArt, Durinox).